If you are not sure where to start your research into a new or replacement ERP solution, this is a good place to start. On this page, you will find answers to questions like: What is a modern ERP system? Should you evaluate getting a new one? Where do you start? What about the Cloud? What are the benefits and costs of a Cloud Solution? If you already have an idea of what ERP is and what a new system can do for you, you can take this link to jump ahead to the Evaluation phase: Evaluating Cloud ERP. Where can I get an overview of a modern ERP system? All modern ERP systems offer organizations many advanced features for managing their business and their finances, from point of sale to financials to inventory management. User interfaces and reports are clean, customizable, and can be tailored to the needs of each staff member. Why should anyone use the cloud for their ERP? Whether a company with an existing on-premises ERP system should move to the cloud or at least consider the cloud when it is time to replace their existing ERP system is a big question. There are advantages and disadvantages to both types of deployment options. What is Cloud ERP all about? Cloud ERP refers to leveraging shared computing resources on the Internet to administer and run a company’s Enterprise Resource Planning (ERP) software as a SaaS solution. This allows access to the application at any time from any location using any device. True cloud applications require no software to be installed on the user’s device except commonly used browsers. I was told the cloud is not secure. Is that true? A data breach is where sensitive, protected, or confidential data was viewed or stolen. Oddly enough, most reported data breaches have been to companies that keep their data on servers hosted in their facility. It turns out that, as a rule, storing data on the Cloud is more secure than having it on your own servers. Are all Cloud Software products the same? No, they are definitely not the same. There is no standard that clearly defines “Cloud”, so many software companies claim they sell a “cloud product” when they are really just selling their old product with a web server in front of it. “True cloud” means the product was designed from the ground up so that all functionality is accessible through the internet using a standard browser without the need for additional software licensing or client apps. Cloud computing uses the Internet to provide shared computing resources for a multitude of different uses, from file and document sharing to business-critical applications like CRM and ERP. Hosting companies can pool Internet-based hardware resources to run business software (often referred to as “Software as a Service” or SaaS), making them more cost effective for small- and mid-sized organizations by eliminating the up-front capital expenses of hardware and software licenses and replacing them with a monthly fee for licensing and maintenance. How should we prepare for the implementation? To properly prepare for an ERP implementation, you need to assemble a team from your staff that will help you select and coordinate with the software vendor’s implementation efforts and ensure the implementation goes smoothly. Your team should consist of an executive sponsor, a project leader, and team members from across your organization. Okay, it all sounds good, but what does all this REALLY cost? Whether deployed on premises or in the cloud, the price quote you receive from your ERP vendor may not reflect all the real costs of implementing the new system. And it’s not because they were hiding anything from you, they are just costs you might not have anticipated. For instance, have you thought about how much time you and your staff have spent in meetings and evaluations on this project? How much of their time have you budgeted for training on the new system? Or how much time will it take to customize the system to your company’s unique workflows? If we have an old system, what is the cost of maintaining our legacy systems vs. upgrading to a modern system? If you already have an accounting or ERP system installed, your company has already paid for the software license as well as the cost of implementing it. For that reason, your company may not want to invest in a new ERP system. Annual maintenance fees as much as 20% of the list price per year. This results in repurchasing the license for the outdated software every 5-6 years. Ongoing operating expenses to maintain, upgrade, or replace servers, system software, networking equipment, and user devices. Ongoing people costs, which can be the biggest surprise. Significant staff or consultant time is required in taking care of the infrastructure and software, as well as any customer development for mobile devices or simple reporting. Moreover, as your system ages, the software may no longer be supported by the manufacturer. You may even discover that the software no longer runs on the latest hardware and operating systems. Development resources familiar with your software version become harder to find. You find yourself trying to implement a custom solution at significant expense when the new version of the software has that feature built-in. More data and network security features are often included in new releases of software that leave you vulnerable if you choose not to upgrade. When is it time to upgrade my current (legacy) system? Your ERP system is at the heart of your business and nobody looks forward to a heart transplant. Yet, if the system is not supporting the needs of the business, has become too expensive to maintain, limits your flexibility, or inhibits customer service, a replacement is the only answer. Does Cloud ERP really deliver results? 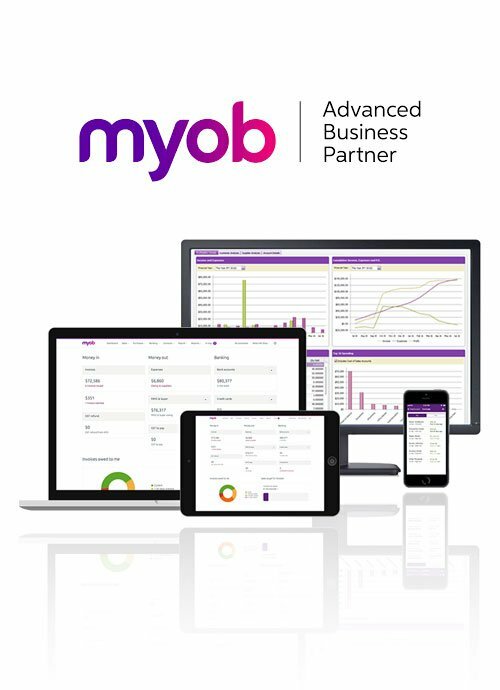 Since our founding in 2008, we have seen companies who have been transformed by adopting MYOB Advanced ERP solution. Retailers, manufacturers, distributors, and service management are just a few of the industries who have reported measurable, positive results with our Cloud ERP product. Learn how companies in your industry successfully accelerated their business with Key Cloud Solutions. What ROI can I expect with Cloud ERP? A 2016 report from Nucleus Research found that cloud application projects deliver more than twice the ROI of on-premises ones. How can my organization benefit from Cloud ERP? What size of businesses uses ERP? ERP can work for a startups as well as small- and medium-sized businesses. A recent study of 700 small- to mid-sized businesses by SMB Group uncovered some of the progressive strategies shared by almost 30% of those companies that use technology to drive business growth. One of those strategies is that they leverage technology to streamline business processes, control costs, and get better decision-making insights. How is ERP different from online accounting software like QuickBooks? ERP (Enterprise Resource Planning) goes beyond just accounting by adding the ability to handle inventory management, CRM, and other important areas of the organization. ERP has audit trails and facilitates the decision-making process, and that is where a small business online accounting system starts to falter. Where can we get help in evaluating, selecting, and implementing a new business management system like ERP? Where do we start? How do we start to evaluate and select between ERP systems? Whether it’s a small job shop or a multi-national corporation, companies implementing ERP are all facing these questions and challenges. To help you get started, read the guide, “Navigating ERP Selection and Implementation: A 5-Step Process”. This guide will provide solid steps to success with expert tips on navigating the selection and implementation process. driven by the same purpose as a key.